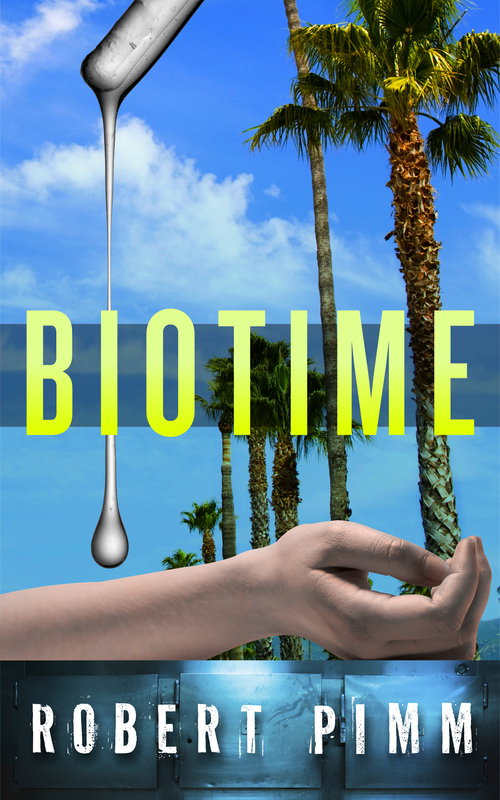 WELCOME to the next droplet of the on-line serialisation of my sci-fi novel Biotime. If you’ve missed the rest, check out the story so far. Biotime enforcement agent Jake Moonrath sets out to take a tour of the Central Authority Buildings in Harlem, New York to view the production facilities and “confidence and security building measures”. He soon discovers that something is deeply wrong at the birthplace of Biotime; and that his guide, Sylvester, has a disturbing sense of humour. The moment Jake stepped out of Cleo Czernin’s office he began to plan his new ID. Dr Andrew Brown was compromised. He must leave the Central Authority Buildings as someone else. Nowhere was safe. But the numerous exits of the CAB were designed to offer visitors maximum privacy – coming in or going out. There were also at least two hundred and sixty five thousand identities available downstairs, many of whom would not be leaving the data-shielded structure for years, if ever. The challenge was to reach them before someone else reached him. Security within the CAB was overwhelming. Jake had to pass through four ID-operated doors between Ms Czernin’s office and the emergency staircase. Each one would be transmitting to the CAB’s security log the fact that authorised visitor Dr Andrew Brown had just passed through. But who had access to that information? When he reached the stairs he used his Informal bracelet to turn off his ID, and began to run down. It felt a futile gesture: he had to become Dr Brown again when a set of security doors blocked his path every ten storeys. But you had to do what you could. Jake found the security comforting. The Central Authority, at least, was still in perfect working order. His parents would be safe, slumbering in Culver City. But it was too late for Ed and Abigail. He stopped at the foot of the stairs to catch his breath. He, Jake Moonrath, was still alive. Whoever had destroyed Hughes and murdered the other ten Informal agents hadn’t reckoned with that. The receptionist at the CAB visitors’ entrance was a pretty young black woman with long straight hair. She seemed delighted when Jake appeared. He couldn’t help returning her gaze, however pointless it might be. Jake nodded. He was thinking about what Cleo Czernin had said. ‘Thanks. I’m ski-ing later this week.’ Jake smiled again and looked around the lobby. He felt exposed, standing by the desk. The door to a viewing suite stood open. He ducked inside. The lighting was so dim that at first he could see nothing. There was a powerful smell of unwashed bodies. As his eyes adjusted he became aware of dozens of men lounging in armchairs, illuminated only by the holos they were viewing. Most featured naked female bodies, swathed in transparent plastic. It wasn’t like any viewing suite he’d ever seen in California. Jake spun round. In the hush, the voice was nerve-jangling. One or two men looked up from their delectations. ‘I am sorry. Did I disturb your viewing experience?’ Sylvester was short, with a thick bull neck and large, powerful hands. He didn’t look sorry at all. ‘Only you, and you alone. You’re the first tour-ist today. In fact, you’re the first guy this month wanted to look around inside, in person that is. Most folks are happy with the holos.’ He gestured to a nearby chair, where a man seemed to be examining a magnified image of the inner thighs of a sleeping woman. The viewer had set the holo parameters to project the display in the air above his face, so that he appeared at first glance in danger of death by suffocation. But when Jake looked more closely he saw that the man, too, was asleep. By Robert Pimm in Fiction, Fiction: Biotime, Fiction: Novels on 30/06/2015 .